Calling all dog geeks and cat freaks who happen to love pizza, startups, technology, investing and networking... You are invited to meet the hottest pet industry digital startup in Chicago, FetchFind. This incredible evening is being hosted by FetchFind, 1871 Chicago with special guests Republic and Purina's Pet Care Innovation Prize Team. Pet product giveaways, raffles, pizza from our friends at Piece Pizzeria & Brewery, activities, a panel discussion about pet tech trends, plus a few surprise guests (hint: they have 4 legs and are looking for a home.) FetchFind will also be welcoming and showcasing several other pet tech startups, as the pet startup community here in Chicago is robust, strong and always ready to support each other. 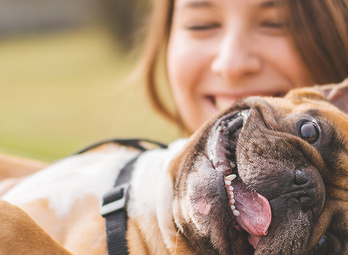 So along with FetchFind, you will have the opportunity to meet some of the other remarkable pet startups that we love, including PupJoy, Figo Pet Insurance, Baroo, Pet Boss Nation, Better Walker, GuardianVets Inc. and Pet Gotcha Day. Our media partner is Tails Pet Magazine. And our special animal shelter partner for the event is Chicago Canine Rescue Come for the pets and stay to learn more about why the $70B pet industry is recession proof and a hot area for investment. Meet FetchFind and the other Chicago pet tech companies at the forefront of innovation.